The Tri-Lens Reflector has a RCS of 2 to 4 square meters for 330 degrees @ 9.5 GHz, the Marine Radar frequency (X-band). No loss of performance when boat is in heel or roll. Each unit consists of (3) 134mm diameter stepped-index Luneberg lenses which increase the radar cross section of a boat. The exterior surface of the TriLens is 2.3mm thick U.V. A.B.S. plastic and each unit weighs about 2.5kg. The TriLens requires no assembly and is easily mounted or hung from the rigging of your mast. The Mini TriLens Reflector is used for sailing along the coast. It has an RCS of .6 to 1 square meters for 330 degrees. A ship's radar can effectively pick-up the Mini TriLens for miles. The exterior surface of the Mini TriLens is 2.3mm thick U.V. A.B.S. plastic and each unit weighs about .9kg. The Tri-Lens requires no assembly and is easily mounted or hung from the rigging of your mast. The Large TriLens Reflector has an RCS of 6-10 square metres for over 300 degrees. There is no loss of performance in heel or roll. 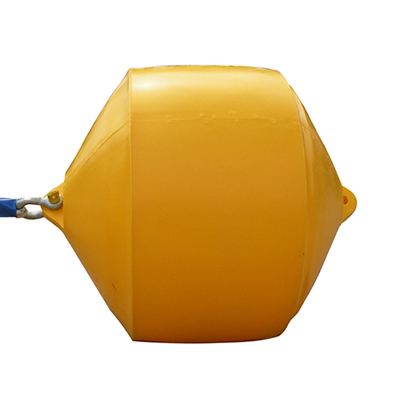 Used for larger yachts, powerboats and commercial vessels.